DEAD LIGHTS is in!,, High THC and CBD, Great medicinial strain, come on in and check it out! 420 starts today at 4:20! $10 gm top shelf flower on sale, today and tomorrow only! Zkittles, Animal cookies, Wedding cake and Gorilla glue! Spend 75$ or more to be entered in our 420 giveaway of a Special Edition Rick and Morty water filter!! Beginning 4/9/19 ending 4/20/19! 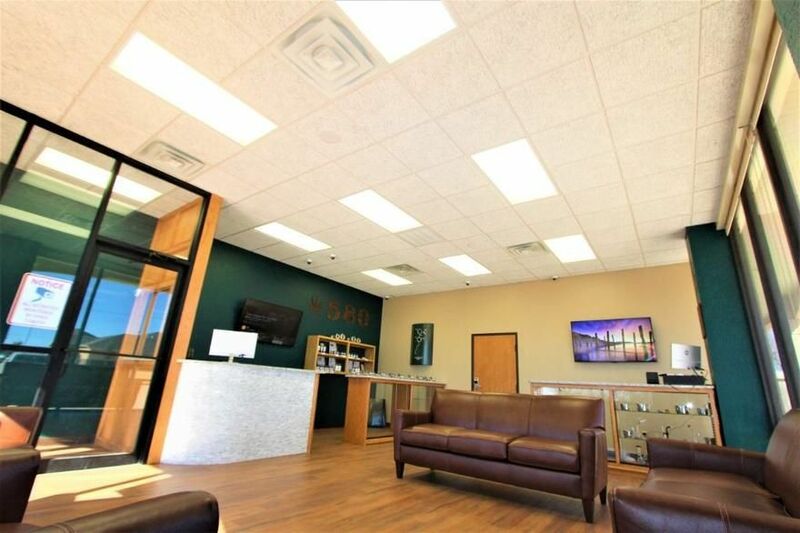 At 580 THC/CBD you will find a professional caring and knowledgeable staff who are committed to ensuring your medical marijuana and CBD experience is tailored perfectly to meet your medical needs in a safe environment. Our medical marijuana and CBD staff are committed to building trusting lasting relationships with our patients through respectful and discrete interactions. 580 THC/CBD offers a large varied menu of exceptional quality boutique medical marijuana flower, infused edibles, and vape oils. The multiple choices of high end medical marijuana strains from Indica dominant hybrids to balanced hybrids to the Sativa dominant hybrids provide such a vast array of terpene profiles that we are able to cater to most all tastes and preferences while assisting in the treatment of many diagnoses. 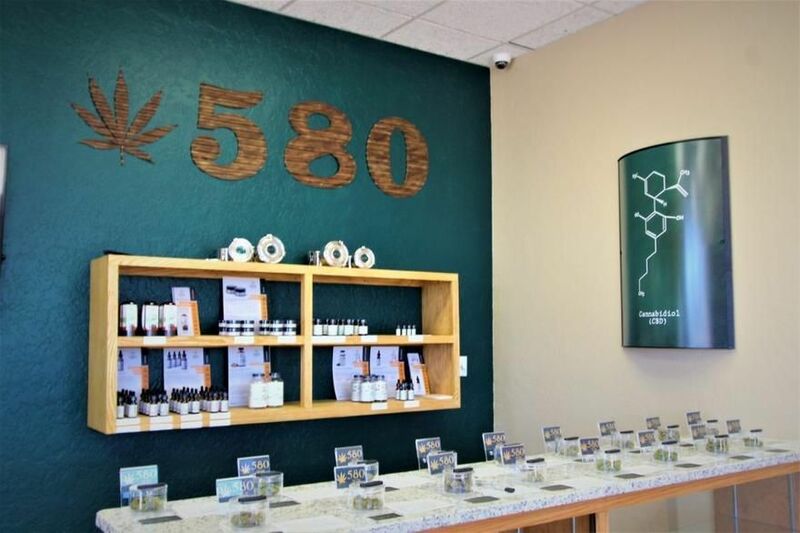 580 THC/CBD is owned and operated by healthcare professionals and physicians who place exceptional quality patient care and high quality medicinal THC and CBD products at the forefront of their mission. 580 THC/CBD is fully committed to providing the highest quality medical marijuana flower, infused edibles, and vape oils. Service Area: 580 THC/CBD is located on the west end of Lawton, Oklahoma in Comanche County. We are nestled in the Southwest Plaza on NW Cache Rd in the shopping center where you can find Marcos, Southwest Fine Wine and Spirits . and Farmers Insurance. The 82nd st shopping area home to Target , Academy Sports, TJ Maxx, and many more national outlet stores are right around the corner. We are proud to serve the local communities of Lawton, Cache, Elgin, Geronimo, Faxon, and Indiahoma. Come see us right off Rogers lane in the west end of Lawton.